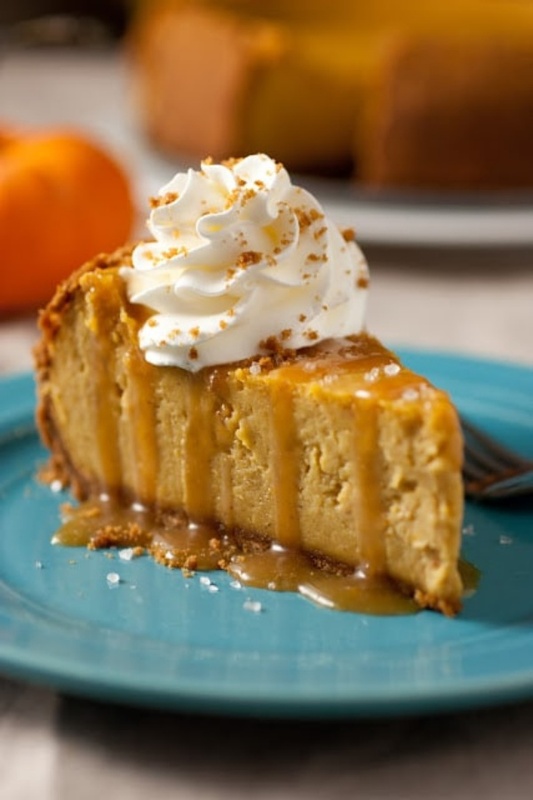 Pumpkin Cheesecake with Salted Caramel Sauce By Jaclyn from Cooking Classy. Just imagine your favorite pumpkin pie meets a fluffy, rich cheesecake and then it’s generously covered in salted caramel sauce and finished with sweetened whipped cream. Yeah, almost to good to be true.